I noticed that (in fairness, before President Carter announced his diagnosis) Ted Cruz made a point of telling people that the Iranians released those hostages the very moment Ronald Reagan was sworn in. He wants his fans to assume Carter was a wimp and the Iranians cowered in fear before Reagan. In actuality, Carter ordered a rescue mission which his military wasn’t able to accomplish, and, partly in response to that heretical decision, Ayatollah Khomeini withheld the diplomatically-obtained release until the inauguration was over as one final poke in Carter’s eye. But that’s ancient history — which is what putzes like Cruz count on. encouraged the idea that American hostage-taking was a profitable strategy. Yet he came off being considered strong because of his more presidential carriage. Go figure. Thank you for this lovely tribute, John. I’ve always felt a connection to President Carter’s era as his election was the first I could really follow as a young voter and because I lived through what can only be termed a Carteresque-storm-of-the-century. As it turned out, I was a political science student during the last several months of his failed re-election bid. We were modeling the polling results on a weekly basis (terrible statistics memories, those) and watched his late lead slide into a loss in the final 9 days of campaigning. Coincidently, two of my roommates at Washington University in St. Louis were Iranian girls whose parents were trying to flee after the Shah was deposed. To add yet another layer, St. Louis was close to Rocky Sickmann’s home town, and the airport where he landed when he returned from debriefing after the hostage crisis. (Rocky was one of the hostages who endured 444 days of captivity.) With all of these influences, I was deeply affected by those dark days in the Fall of 1979 and the hostage liberation in early 1980. 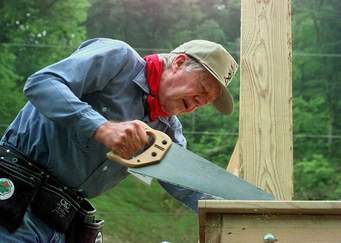 President Carter could have gone back to his farm, but I’ve always thought part of the motivation for his tireless dedication to the world during retirement was some sense of penance on his part for having failed to successfully address the Iranian issue. There have also been some disturbing accusations of anti-Semitism, which I’ve never been able to shake completely. If you are sensing some conflicting thoughts and emotions, you would be correct. Thoughts? Thanks. That is an interesting background…. I think Carter did what he could. He initiated an unsuccessful rescue mission and refused to barter for the hostages. He simply looked weak doing so. Reagan, on the other hand, looked strong while pursuing a much weaker strategy of actually selling arms to Iran in hopes of freeing Iranian held hostages in Lebanon…also unsuccessful. But because he was the great communicator he came out of it looking strong rather than weak even though his policy likely did far more long term damage. I do not believe Carter was anti-Semitic. I do think he was the first US President (or ex-President) to temper enthusiasm for Israel with a recognition that the Israeli position on Palestine was untenable in the long run and the solution (if there is one) to the Palestine/Israel problem is not likely to be solved focusing solely on the Palestinians. But that is not anti-Semitism. Carter is without a doubt one of our best, maybe our best, former President. He has been a great force for good and an example of the committed life. I used to have a dim view of him as President along the same lines as you, but a few years ago I did a fairly intense review of recent Presidents and their performance on national security that caused me to change my mind. Carter was dealt a very weak hand when he took office–a country that had just lost ignominiously in Vietnam, its military in disarray, an economy starting to sink under high energy costs and foreign competition, not to mention the lingering effects of Watergate. Despite this Carter was able to negotiate a new arms deal with the USSR; he negotiated the peaceful transfer of the Panama Canal; he pretty much single-handedly pulled off the Camp David accords; and I think he responded forcefully to the Soviet invasion of Afghanistan. His personal views were fairly dovish but he kept the hawkish Brzezinski as his NSC advisor deliberately because he wanted a range of advice–which shows a lot of self-confidence. The hostage crisis tarnished his reputation and letting the Shah into the US was probably a mistake, but I’m not sure he could have done much more than he did, especially when the military option failed. He negotiated relentlessly and got all the hostages back, unharmed. Really not a bad performance under the circumstances. Thanks, Adam. I had forgotten lots of that but glad to know it. I always felt he was a better leader than he “looked”.